I have a definite love hate relationship with running. You would think if someone runs, it's because they love to run but I'll be honest, that's simply not always true. I've heard from so many people that I've tried to connect with to go for a run that they're not really good at running but they like it, or immediate explanations of how slow they are but they still like it. I know I really am not a good runner and that is so intimidating when I try to go for a run with someone. What if they're faster than me, or if they can run longer than me? I always feel like I need to prepare them but it's all completely fine!! I'm not going to go into all of the benefits of running because I'm pretty sure you already have heard a lot of them. Instead, here are 5 things I've learned about running that makes me love to run (even though I hate it) and a few tips mixed in to try to get you to really give running a shot because you just might figure out that you love it. 1. Running gives me an excuse to buy an awesome new pair of sneakers and workout clothes that I can be seen in outside of my own home. I always work out at home. I hate the gym. I don't have a love hate relationship with the gym, I just hate it. When I work out from home, I literally wear my pajamas some days. It's not cute, but nobody is watching, so who cares? 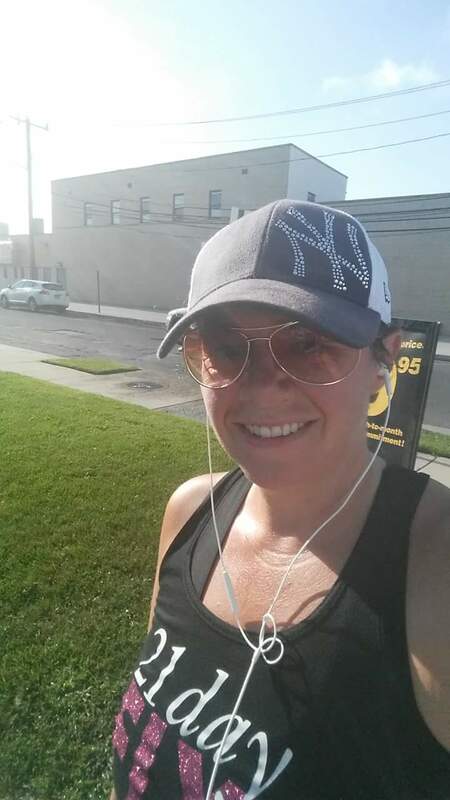 I'm not really trying to impress any one when I'm running, I just like wearing real workout clothes (that I can be seen in), some cute sunglasses and really awesome running shoes. 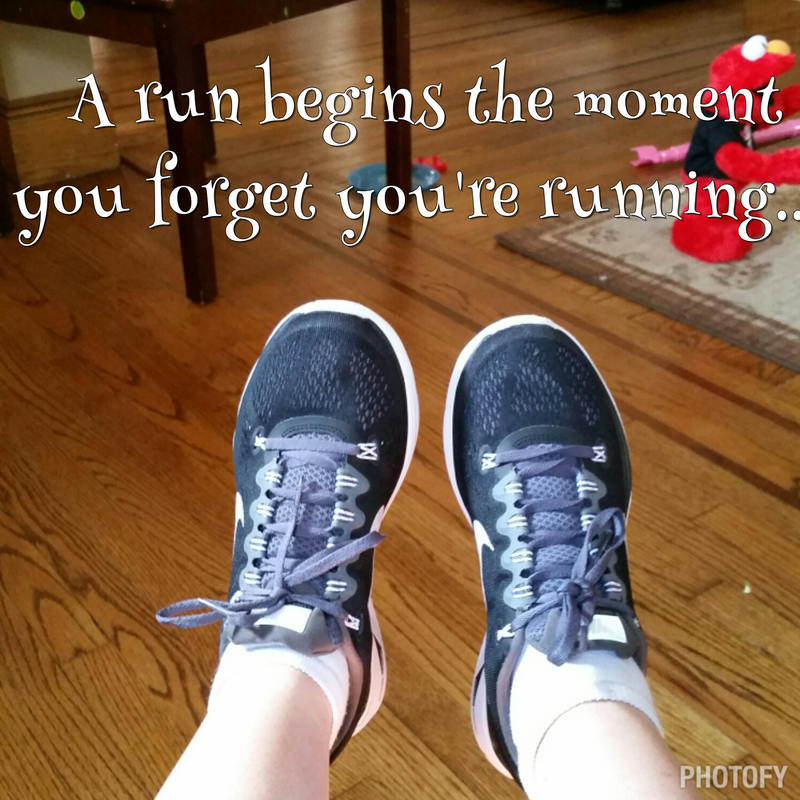 Let me take a minute to discuss the HUGE importance of getting a great pair of running shoes. Cute is a plus but in this case, function over form ladies! Let me explain why. When I was younger, I didn't know yet that I loved to run. Every time I tried it, my ankles hurt, my shins hurt, my feet hurt, my arches hurt and I got blisters... there was nothing that was loveable about that and I figured I just wasn't a runner. Then one day, I read an article about running sneakers and supination and pronation. Basically, there are 3 types of gaits. For some people, when they run, their ankles roll in (flat footed or over pronated), then there's a normal or neutral gait, and for others their ankles roll out (high arches, supination). There are 2 ways to tell which is you. You can look at your shoes or sneakers and see which end is worn. If it's worn pretty evenly throughout, you probably have a neutral gait. If he inside is worn, you probably pronate and if the outside is worn, you probably supinate. The 2nd way is to go to a reputable running store. Most of them will have a treadmill set up and a way for the sales rep to determine which type of shoe you need. Running sneakers are made specifically for one of these types of gaits. When I was running, I bought sneakers because they looked awesome! My very first pair of running shoes which I used to work out in the gym were Saucony Guides, which I later found out were stabilization sneakers made primarily for those who over pronate. Because I have a pretty neutral gait or sometimes supinate, the sneakers were forcing my feet to move in ways that my body was not made for and it HURT!. When I went to the running store, they directed me to the Saucony Rides and it completely changed the way I looked at running and I realized that although I'm never going to run marathons (simply because it's not a goal of mine, I'm not saying I never could if I decided to), I actually could run for fun. Added bonus, I get to call these my running sneakers and only put them on when I go for a run!! Some extra motivation for me! 2. I get to be outside... by myself... and listen to whatever music I want!! I have 2 daughters, a 5 year old and a 2 year old. For those of you who have young children, you know that going outside can be stressful. You need to keep one eye on each child (definite problem when they run in different directions) and really can't be sure what will happen next so taking your eyes off of them for even a second is really not an option. Thank goodness for my husband who understands that running is not something for children to be involved in. My 5 year old isn't quite fast enough on her training wheels bike and my 2 year old will not stay in the jogging stroller for any period of time no matter what I bribe her with. My wonderful husband lets me just go for it, by myself, knowing that I'll be back in under an hour. I love being outdoors!! When I run, I hit the pavement. I don't believe in the hamster wheel some people call a treadmill, I believe in getting out, breathing in some fresh air, and appreciating the season you are in. It's relaxing, refreshing, and can really center you when you're feeling stressed out or scattered. Plus, you get to appreciate the season and just let your mind wander. My absolute favorite seasons to run are Spring and Fall. Getting a while to appreciate the beauty of these seasons is worth running even on days that I decide I hate to run (yes, these days do still happen even though I usually love to run). 3. There is such awesome tech for running! I'm a little bit of a tech girl and I get to use it when I go for a run. I don't unplug because I need my phone but I don't answer the Facebook notifications, Twitter notifications, texts, Periscope, or Instagram. I tell my husband if he needs to talk to me, he needs to call me because I won't look down at my phone. My favorite apps for an amazing run are all available for android or iPhone (no idea about Windows) and are all absolutely free. I either use Rocket Player to play my favorite running play list (mostly Rock music) or Pandora (club dance station) because really, what's the point of running if you don't have good music in your ear. I also use the Free Couch 2 5K app which will interrupt the music to tell you when you should start warmup, running, walking, or cool down and completely take looking down at time every second out of your run so you can just get in the moment. 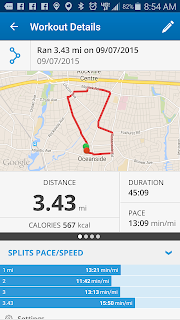 I also use Map My Run which lets you track your runs and your progress while connecting with friends in typical social media fashion to cheer each other on. 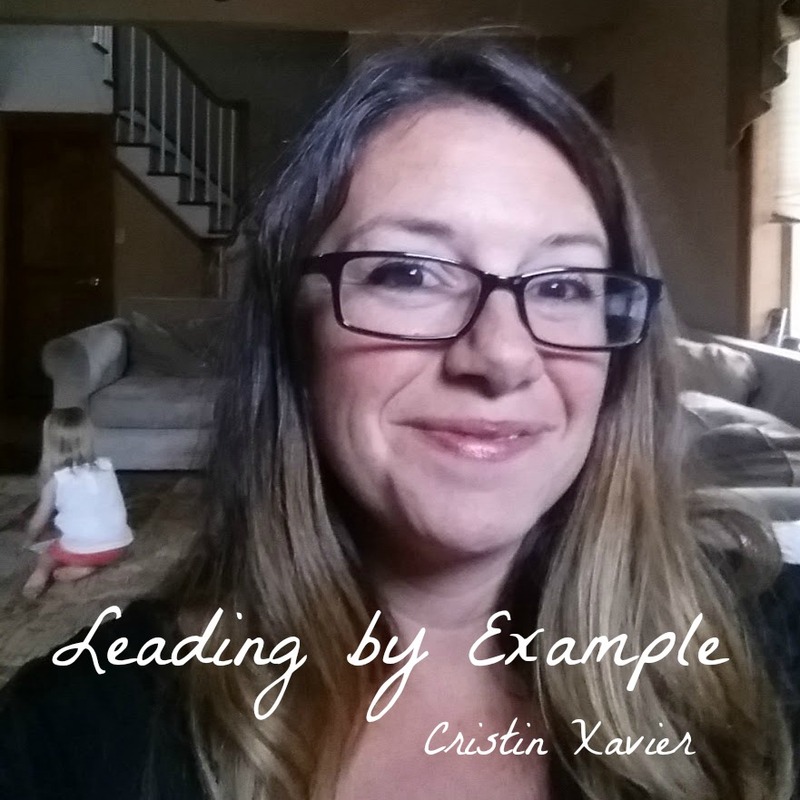 Feel free to find me on Map My Run at Cristin Marchica Xavier. Get all your info in one place with this awesome app which uses GPS to tell you your pace, how far you ran, what your mile times are, splits, and so much amazing info. Again, added bonus, if you're afraid of getting lost, other people can find you if you're off the grid for too long (yes, this is a real concern of mine, especially when on vacation). 4. 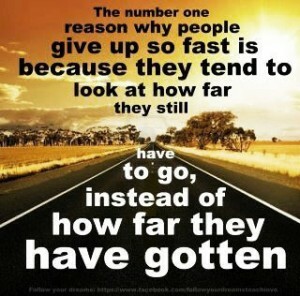 You get to really track your goals and realize how much power your mind actually has over reaching these goals. The couch to 5K app I mentioned in the paragraph above is amazing for this. It's broken up by week and you get to progress to a new workout each time you run. I primarily workout from home because with my kids, I really can't get out for a run more than on the weekends and don't actually use the plan the couch to 5k app provides but I'll often push myself to try another week and see if I can do it. There are absolutely times that I pick a week and quickly realize that I can't do it only to try it a month later and be able to do it and then some. This is an amazing feeling and a great motivator to do it again! Plus, you get to see the effect that the other workouts you're doing are having on how well you run. There are also very few workout programs that I've come across that you can use to truly prove to yourself that what you can accomplish is often in your mind. I've heard the saying "if you believe you can, or you believe you can't, you're right!" There have been so many times that I start thinking I can't do it and need to stop but change to repeating in my head "You Got This," only to realize that I was able to do it with the right positive thoughts in my mind. This reminds me of a lot of HIIT workouts where you just need to get out of your head and into the zone to get it done. 5. There is no other stretch like the one that comes after a good run. When I get home, everything kind of hurts. If I just stop and lie down and call it a day, everything will hurt tomorrow If I take a good 10 minutes and cool down and really stretch it all out, my body thanks me for every single second of it. Don't believe me, go get in a run, right now and let me know how amazing the stretch after was!! If running is your goal, or if it isn't your goal but you'd really like to get more fit, I can help you. I love helping women to feel at their best and comfortable in their own skin. Lets find your confidence and what you love together. Make fitness an opportunity instead of an obligation. If you'd like to be considered for my next challenge, fill out my online application by clicking here. 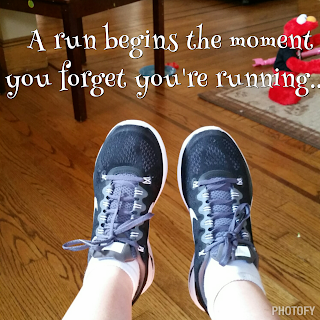 Have you started running and beat your own time? Let me know so I can cheer you on! 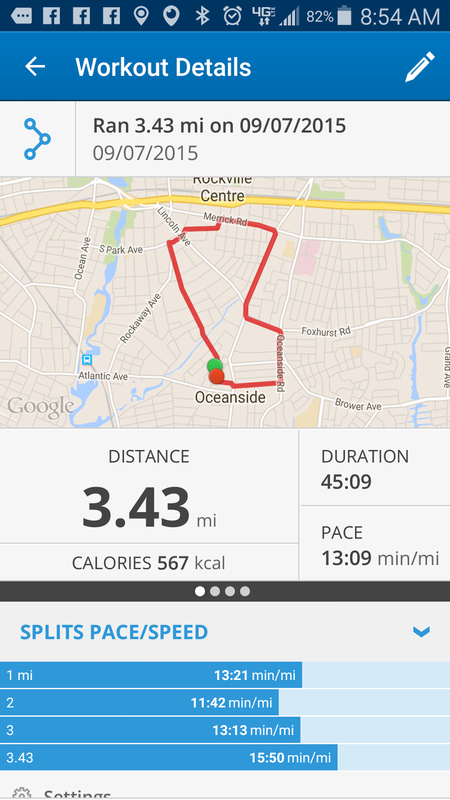 And don't forget to find me on Map My Run!